This is the last of my Irish inspired recipes. It has been a good month in Ireland. Next month my Food of the World cooking group will be exploring the cuisine of the nearby United Kingdom: Northern Ireland, England, Scotland and Whales. You are welcome to join us by posting your recipe inspired by the cooking of this area on this blog: April 8th. If you want a reminder please subscribe to Food of the World Party mailing list you'll find it on this last party post. Back to Ireland, this quiche was inspired by the food of County Donegal in the Northwest corner of the country. It is often called " the forgotten county" because it is so remote, but it's beauty makes it a place worth visiting. County Donegal is by the shore, so seafood is a big part of their diet. I made the crust of this quiche with leftover mashed potatoes which Irish people often do... so enjoy and continue the journey with us next month. 1) Pre-heat oven to 450. 2) Boil potatoes in heavily salted water for about 10 minutes or until a fork easily goes in them. 3) Mash potatoes and mix with butter, whole milk and salt and pepper. Slowly add the milk. You want firm, not watery mashed potatoes. 4) Thinly spread mashed potatoes into a pie dish. (There may be some leftover potato) Bake for about 15 minutes or until the potatoes are golden brown. When crust is out of the oven lower the temperature to 350 degrees. 5) While crust is cooking saute the onion and red pepper together in a tablespoon of butter until they are lightly golden. 6) Beat eggs, with cream, mustard, and salt and pepper. 7) Put pie crust on a cooking sheet in case filling spills over. Layer the onion, pepper, crab meat, cheese and parsley in the pie crust. Pour egg mixture over the fillings. 8) Place cookie sheet with quiche on it into the oven for about 30 minutes or until the quiche is firm and slightly brown. Let cool for at least 10 minutes serve with a side salad. Remember to visit and follow my co-host Adelina at Home Maid Simple to find out what blogger she is featuring this week!!! Kari tells a great flashback to this soup's fame on the Seinfield show. 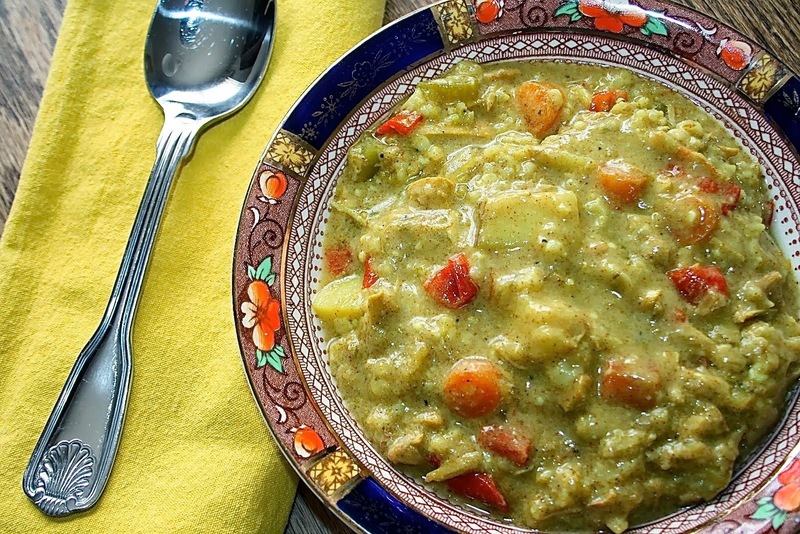 Whether you remember it from then or not, it is a fantastic soup made with chicken, curry, rice and vegetables. 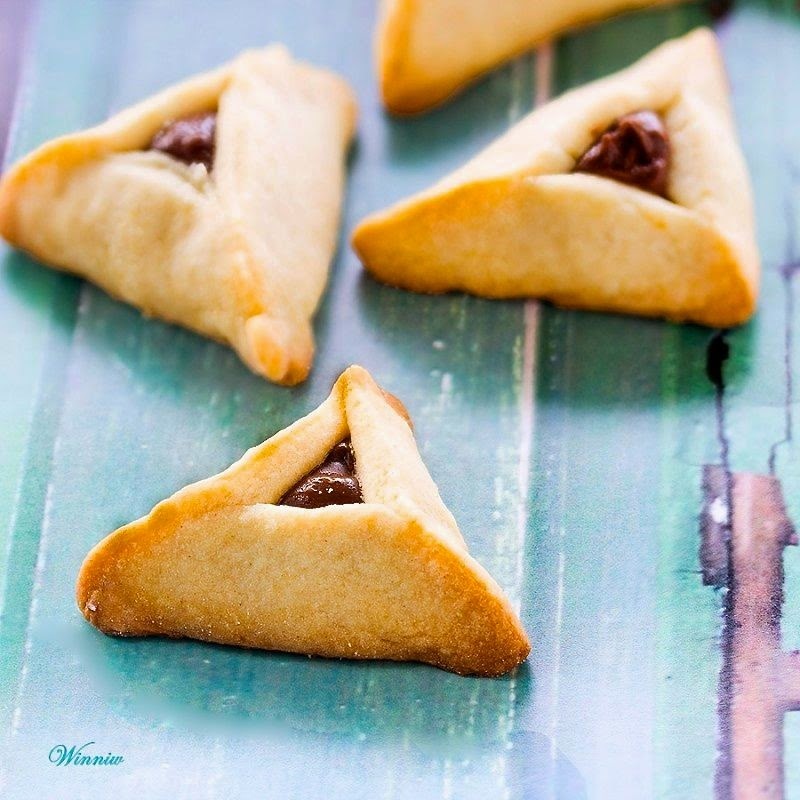 Haman's Ears are a light flaky cookie with out eggs and filled with chocolate or jam, that is traditionally made during the Jewish holiday of Purim, which is kinda of a combination of Halloween and Easter. I enjoyed these cookies greatly, when I taught English in a Yeshiva years ago. This is a food party please link up only 3 food related posts. Thank you. Click on at least 3 other recipes. SPREAD THE WORD: PIN, FB, TWEET ETC... this party. It is good for you and me. 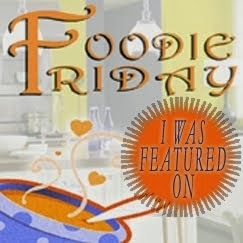 1) Copy the Foodie Friday Button's html from this website's sidebar. 2) Paste this html to the html page of the recipe you want to link to Foodie Friday. You can also make a word link or post our button on your sidebar. 3) Copy the link to the recipes you want to add to Foodie Friday, not your homepage. 4) Click on "your next" on this page. 5) Past your link and type in the name of the recipe, not your name. 6) Choose how you want to download the photo. By posting in this party you are giving this blog permission to reprint (with a link to your post) in recipe roundups and featured posts any recipes/articles you share with us. Want a reminder when this Foodie Friday Party goes LIVE! Good to see you Sandi. Thanks for hosting Diane! Have a great weekend! Thanks for stopping by Deb. I never thought to top a quiche with a mashed potato crust...how exciting (I don't get out much, obviously). Thanks for the party, Diane. Have a great weekend!! I found it to be a revelation too Kim... I guess we both need to get out more. You are getting a great start on the tour with your Crab Quiche, that looks delicious! Sure hope that you and your family will be having some of the warm weather that we are enjoying for the last few days. Have a great weekend and thanks so much for the party. It's not warm, but it's warming here. The snow is starting to melt thank goodness. Have a great weekend too Miz Helen. Hi, Diane. I just wanted to stop in and read about your crab quiche (I love crab) and to say hi. I don't have anything to link, but hope to be back next week. Hope you have a great weekend! You cook a lot with crab... this might be a good recipe for you. So glad you stopped by. Thanks for hosting the party. Have a great weekend. Thanks so much for hosting :) Have a great weekend!! oh I definitely need to try a potato crust! That sounds downright satisfying. I just loved all your features this week Diane! You are welcome Winnie. You can fill this quiche with anything you like.. you have to try the potato crust.. that's what makes this different. 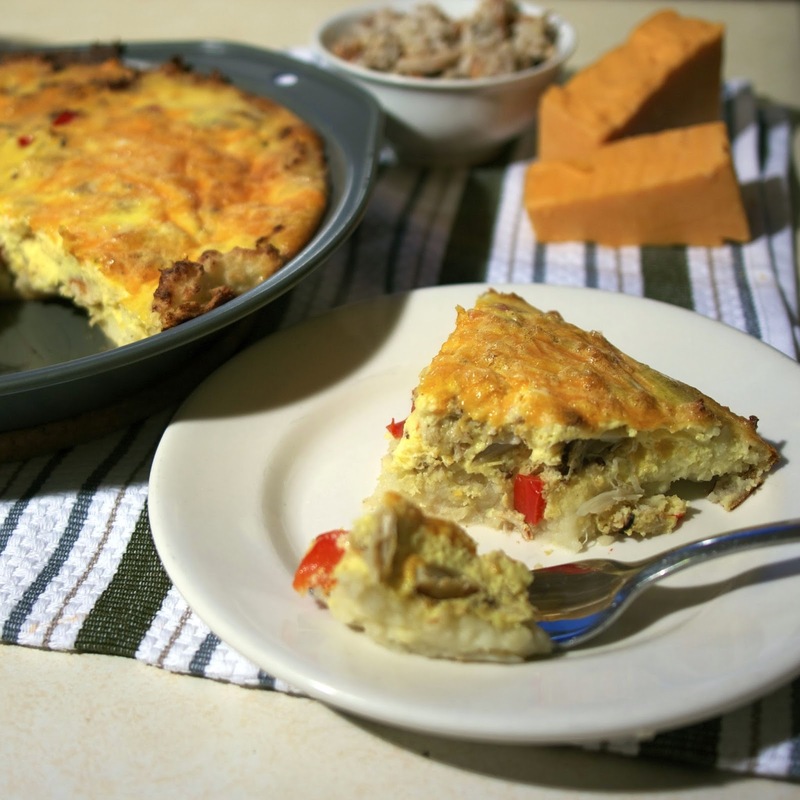 Love your quiche with the potato crust. How creative. Thanks for hosting Diane and I hope you have a lovely weekend. I vaguely remember an Irish friend telling me to used leftover mashed potatoes to make a crust... it all came back to me on this dish. So good to see you. Glad to have you at the party. I would like your crab quiche a lot, especially with a potato crust. What a delicious idea! This quiche looks great! 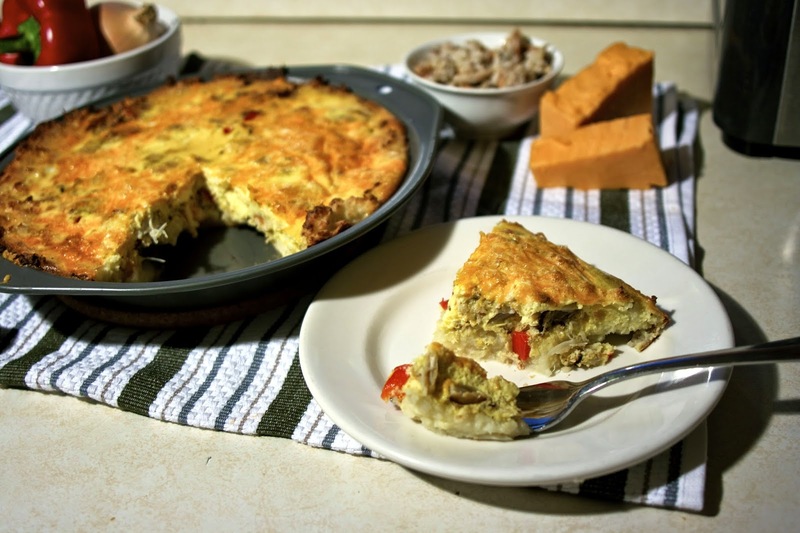 I love to make quiche as a light dinner, but I've never tried it with a potato crust. Delicious! It was kinda of an inverted shepherd's pie. my family really liked it. This quiche sounds amazing! I just love crab. Thanks for sharing at Simple Supper Tuesday. This looks fantastic! Thanks so much for sharing it with the Let's Get Real Party. Thank you so much for sharing with Full Plate Thursday and hope to see you again real soon!